The use of a limousine can be a great way to enhance a special event like a wedding or to provide a convenient mode of transportation. What most people don’t realize that is there are many things to consider before entering into a rental agreement with a limo company. Given the circumstances and importance of making the right decision, a top 10 checklist would be a very efficient way to make sure all the bases are covered. The Budget – Limousines rentals are luxury items that come in all sizes and shapes with a wide range of prices attached. Before you begin looking for the right match, it is essential you establish a budget and adhered too it in order to avoid any unpleasant financial surprises. The Event – Limousines can be used for any occasion ranging from simple transportation to the airport or a business meeting up to an extravagant party vehicle. It is important to match the event to the type of limo to be rented. For example, a Hummer or party limo might be inappropriate for an elegant wedding mode of transportation. Likewise, you wouldn’t hire a small limo if the vehicle is intended to be use for a party. Headcount – It is critical to get an accurate headcount on the number of people to be occupants in the limo. Because limos come in a variety of sizes, they are usually available for anywhere from 2-20 guests. You just want to make sure that everyone is comfortable while traveling in the limousine. Limousine Company’s Reputation – Limos are carrying a precious commodity, you and your family and friends. You want your driver to be safe, punctual and professional. It may take a bit of investigation, but ask for references and do some online research to establish whether or not the limo company and driver’s reputation are in good standing with the proper insurance and licenses. Scheduling – In order to secure the right limo type and good pricing, it is extremely important to plan ahead and try to reserve in well advance if possible. This increases the likelihood that the type of vehicle you have in mind will be available for your event. Custom Features and Requests – Some customers like to request drivers dress and act a certain way. They may also want the limo to contain specific amenities (jacuzzi, sound-system)) or products (food and beverages). 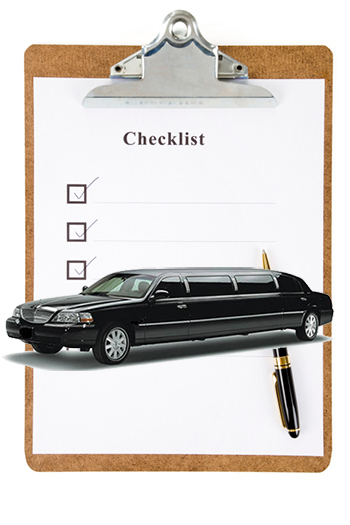 You should make sure all requests are made to the limo company in writing in order to avoid any misunderstandings. These items will be built into the price and you want to make sure you are getting what you pay for. Preview the Car – Before signing any rental contract, it is critical that you ask to see the vehicle being offered prior to the day of the event. If anything looks out-of-order, you should request adjustments at that time because it may be too late to make changes on the day of the rental. Negotiating the Price – The limousine business is highly competitive. Therefore, limo companies are usually willing to negotiate on the hourly rate or offer a package deal. You should take the time to get the best deal possible and make sure you completely understand everything that is being included in the price. Also, you should make sure you understand whether or not the deposit is refundable. Signing the Rental Contract – You need to thoroughly review the contact prior to signing. You should make sure you understand and agree to all the terms or request changes. Checking In – Do yourself a big favor and call the limo company one day before the event and make sure everything is on schedule. With a day to go, you may still be able to find an emergency replacement. Once everything is set, the only thing you and your party need to do is show up and have a good time. The proper planning and thorough research should be enough to avoid any last-minute disasters.